According to NDTV, TVS Motor Company will launch an all-new motorcycle on August 23, and not the iQube hybrid scooter. The report states that the bike will be a 110 cc commuter to bolster the low-end portfolio of TVS, which currently includes the TVS Victor and TVS Star City Plus. The new motorcycle will reportedly share its engine with the TVS Victor (pictured). We'll get to know soon if TVS is using 'Radeon' for its new bike. The publication cites sources in stating that the new motorcycle will boast features such as an all-digital instrument cluster, a dedicated app and satellite navigation connectivity, similar to the TVS NTorq scooter. 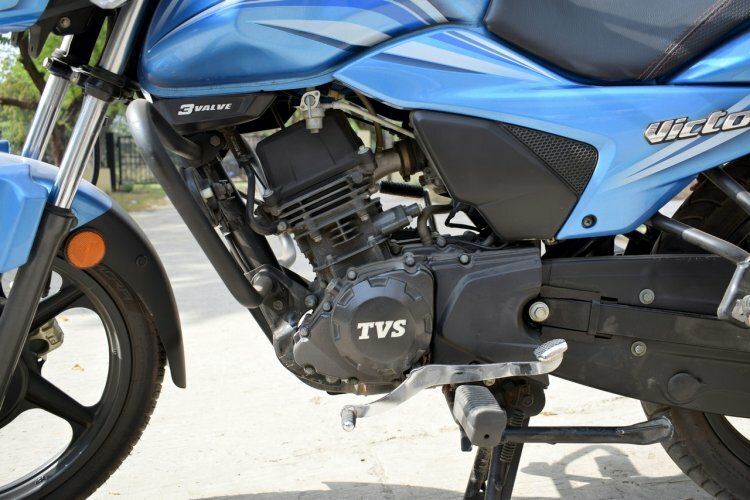 Though media reports said TVS will launch a 125 cc product, NDTV's report firmly says the motorcycle in question will be a 110 cc offering, likely sharing its engine with the TVS Victor. The engine in question is a single-cylinder, air-cooled 109.7 cc unit developing 9.5 bhp at 7,500 rpm and 9.4 Nm of torque at 6,000 rpm. This engine delivers a claimed 72 km/l mileage on the Victor. The report also says that the motorcycle will have a new design language previously unseen on any TVS motorcycle. However, it is logical to expect the motorcycle to share its underpinnings with the Victor, which is based on a single cradle tubular frame chassis with telescopic suspension at the front and 5-step adjustable springs at the rear. TVS Motor will almost certainly offer an optional disc brake variant, if not standardizing this safety feature. On the Victor, customers can opt for a 240 mm disc at the front, if not, a 130 mm drum at the front and a 110 mm drum at the rear are standard. 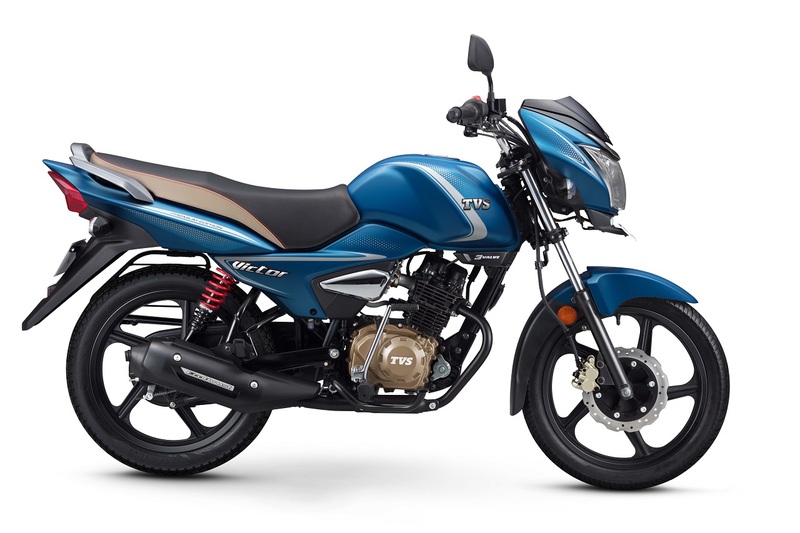 The Victor's engine makes 9.5 bhp and 9.4 Nm of torque and claims a fuel efficiency of 72 km/l. The TVS Victor is priced at INR 53,295, ex-Showroom, New Delhi. With its upmarket features, the new motorcycle could command a small premium over the Victor.